With a focus on authentic Swahili culture, The Majlis is wonderfully charming and enticing. 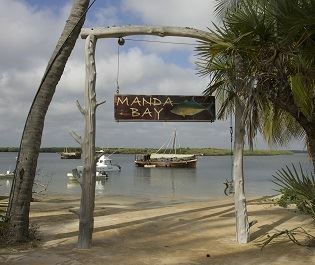 Nestled along a sugary sand beach on Manda Island in the Lamu archipelago, you’ll quickly fall in love with the quirky architecture created with local materials, including white coral blocks and hand carved timber. 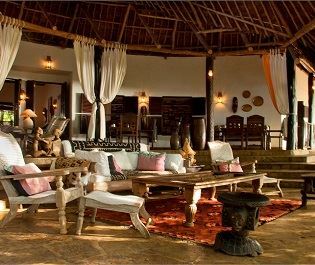 This hotel evokes a sense of understated luxury, and is only a 10-minute boat ride from Lamu town. Everywhere you turn you’ll be graced with phenomenal views of Ras Kitau bay, and the numerous baraza seating areas offer you a cosy spot to watch the sun go down. Evoking a truly authentic Lamu experience, The Majlis has plenty to keep you occupied should you fancy taking a break from sunning by the two swimming pools. There’s plenty of water sports on offer, including dhow cruises and water skiing, and you could also hop on one of the mountain bikes and journey along the dirt track to the Takwa ruins. Families are well catered for here – the kid’s club has a plethora of exciting activities for younger guests, including cooking classes, Maasai Warrior experiences, and dhow adventures. With an array of long windows adorning the walls, all of the rooms have gorgeous views, and allow plenty of natural light in for a tranquil feel. The décor is very light and airy, with rustic, hand crafted furnishings. 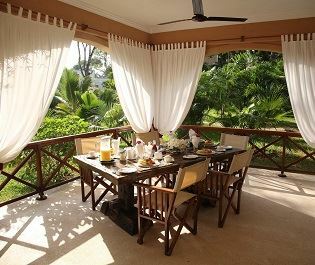 The Superior Rooms have garden views, whilst the Deluxe Rooms with Verandas look out onto the beach. The Deluxe Room First Floor Seaview accommodation features a scenic terrace looking out to sea, and the Junior Suites offer lovely garden and ocean views from their terrace and seating area. The Family Suites are very spacious, with a double room, a twin room and two verandas, but the most luxurious of all are the Royal Suites, combining two Junior Suites plus a living room and large veranda. We love the restaurant area here. Built in the local Lamu tradition of casuarinas and mangrove poles covered in long palm leaves, you’ll tuck in to delicious cuisine in the open-air, including wood fired pizza and homemade ice cream, all the while taking in views of the peaceful waves. Open all year round, children of all ages are welcome. 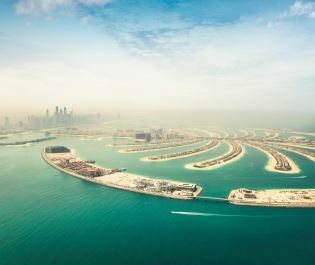 This accommodation can be booked on its own or as part of a tailor-made vacation with or without flights. Per person per night prices from £155/€175/$205. Msambweni Beach House is the epitome of rustic, barefoot luxury, with lovely stone villas, gorgeous pools, and amazing private dining. 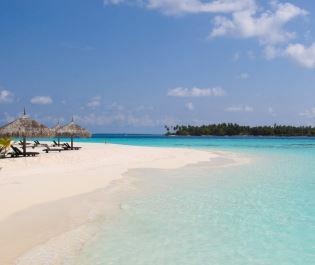 This relaxing health and fitness retreat adds a great health kick to a bush and beach holiday. The luxurious suites are incredible, too. With authentic African decor, sugary white sands, fresh cuisine and fun water sports, this is the perfect beachside hideaway. 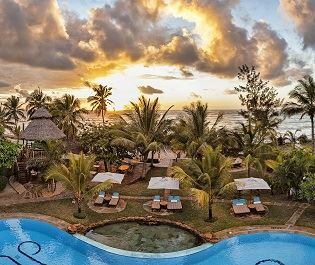 Nestled along the pearly white sands of Diani Beach, this tranquil and stunning beachfront resort offers all you need to fully unwind and enjoy the sunshine. 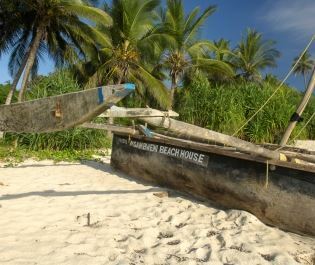 Fancy a beach and bush holiday? 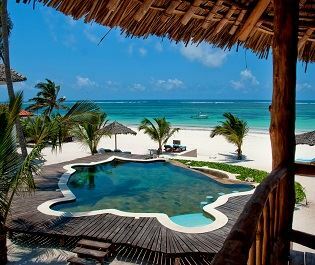 The beautiful beaches and colourful style makes this one of our favourite beach lodges in Kenya. 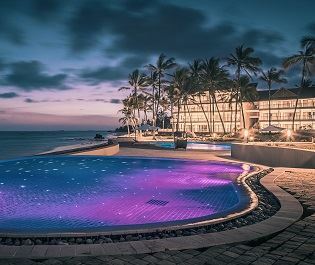 A gorgeous resort featuring six Executive Villas and one Presidential Villa with three rooms and two suites, nestled along the white sands of Galu Beach. 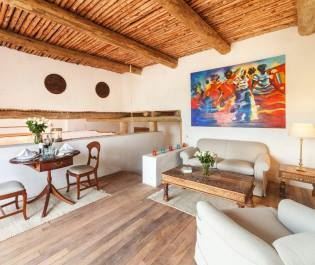 Barefoot luxury is offered at the beautifully rustic hotel, featuring thatched roof cottages, a gorgeous pool, and fresh seafood straight from the hotel's sailing boat. Bliss. 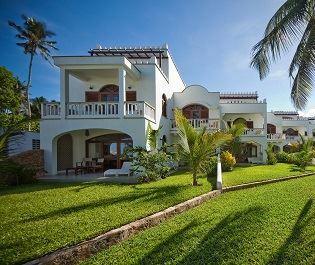 Tucked away within Watamu Marine National Park, this beautiful and luxurious hotel offers contemporary rooms and apartments alongside divine fresh seafood and fun water sports. Vibrant coral reefs, sugary sand beaches, luxury accommodation - Mauritius provides the ultimate relaxing beachside holiday to team with your safari. 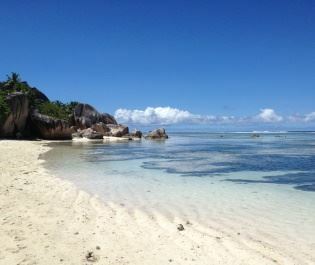 An archipelago of 115 island in the Indian Ocean, the Seychelles is the perfect setting for a relaxing holiday, from the sugary sand beaches, to the luxurious hotels. 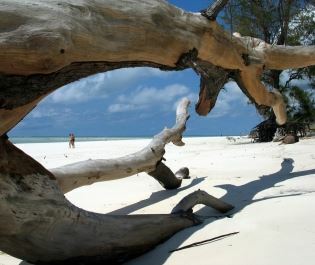 There's no doubt you're enticed by Kenya's amazing safaris, but the country is also home to some of the most beautiful beaches we've ever seen. From the rich culture and white sand beaches, to the fresh seafood and remote archipelagos, Mozambique is the perfect respite after an African safari. 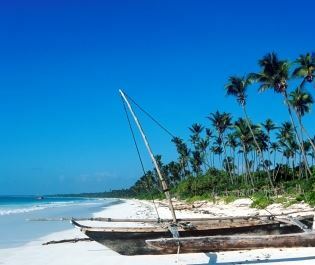 From the sugary white sands of the Zanzibar Archipelago, to the remote beaches on Mnemba Island, Tanzania's beaches paint the country as the best of both worlds. 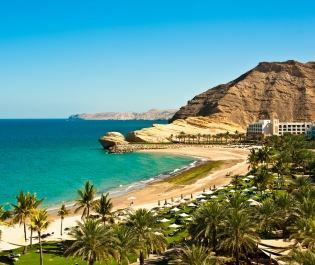 Combining rich culture with modern luxuries, Oman is a fascinating and wonderful choice for a bush to beach holiday.